The old days were great. A few years ago sharing content on social media would drive loads of traffic to your website. But then social media channels got nosier and it became harder to get traffic. New channels appeared, the audiences became more fragmented, and staying active on all the channels got way more difficult. 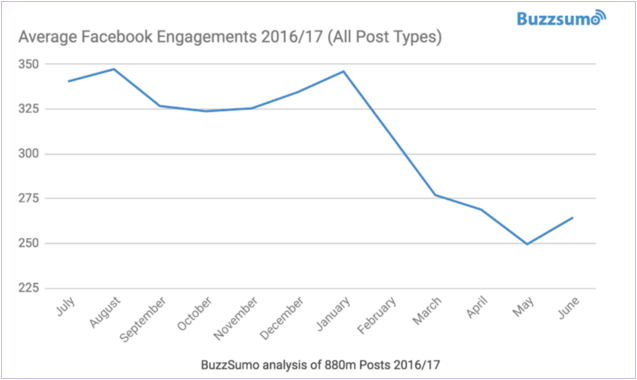 Publishers started to see dramatic drops in organic reach and engagements, especially on Facebook. But the truth is that this is happening (or will happen) on all major platforms, Instagram, Twitter, and LinkedIn included. They are all becoming paid marketing platforms, meaning no more free rides for publishers and brands on social media! But is the decline in organic reach really such a bad thing? a). We end up relying too strongly on social media to bring in traffic and revenue, so when the rules change (and they do all too often), it affects our marketing results and our business. b). It’s not scalable. When Facebook gives us free traffic it’s like a tap that switches on and gives us water. But we’re not in control of how much water comes out and the tap can be easily switched off. As marketers and business owners, we can’t be worrying about the tap switching off. We need to be in control of things! So, how do we overcome this problem? Paying for traffic is scalable because we can increase traffic/conversion as much as we want (with some limitations), as long as we have the budget for it. But in order to do this the right way, we need to assign a value to our activity and ultimately make a profit from it. You need to map out your funnel, work out how much it cost you to drive people to your site, and then see how much profit you actually made. 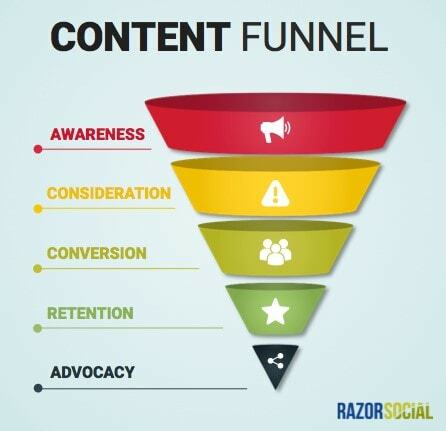 And look at content that is relevant at each stage. If you made a loss, you might be ok with it (as long as it’s not substantial) if you’re still building brand awareness, expanding your audience, etc. As you get better at targeting and better at funnels, you’ll minimize the loss and create profitable advertising campaigns that generate good ROI on your ad spend. Facebook now offers some pretty sophisticated targeting capabilities so you can pay to reach your ideal customers based on a number of criteria, including their interests and online behavior. In addition to that, you can maximize the return on your ad campaigns by using custom audiences. You can basically show highly targeted ads to people who visited a certain page on your website, target your ads based on your email list, and even create lookalike audiences based on any audience you previously created. As you can see, there are many ways to fine tune your campaign and create highly-targeted ad campaigns for different audiences. Not everything you do on social media is about sales. Your focus might be on building an authentic community that is genuinely interested in your company which will bring long-term value. This requires providing a lot of value first, and being responsive to the needs of your fans and followers. An authentic community will allow you to build long-lasting relationships and to collect insights and feedback that you can use to grow your business. Or you might be focused on driving conversations to build awareness, engage your audience, and ultimately build trust in your brand and your product or service. These are all common marketing goals and you can assign a value to any activity that brings you closer to achieving them simply because they’re valuable to your business. Relying on organic social media reach to consistently drive traffic to your website is like building a house on borrowed land. It’s risky since you’re largely at the mercy of your landlord (e.g. Facebook). I was never a big fan of that as I like to keep control over my digital real estate. Sometimes you need to pay for that control, and that’s fine by me as long as it results in sales and profit for my business. 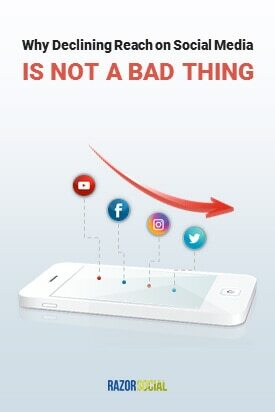 What do you think, is the drop in organic reach on social media really that bad? Or do we need a collective shift in mindset and approach to social media marketing?